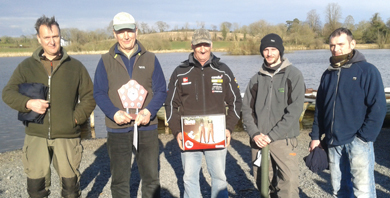 THE final of the Winter League took place at Islandderry Fishery, Dromore on Saturday. the fifth round of the league giving him 10 points to go towards his overall score. After the final round had ended and the overall scores totalled, there was a joint first place for Ronnie McFadden, Lisburn, and Bill Johnston, Lurgan. The decider was whoever had caught the heaviest fish throughout the league will Bill Johnston’s 8lbs 8oz trout caught in the January round giving him the £400 first place to Ronnie’s 7lbs fish which he caught in the December round of the league giving Ronnie second place. Third place went to Dromore angler Andy McCandless while Noel Roberts, Portadown, took fourth place after his winning final round and Lurgan angler George Dumigan took fifth. A big thank you and well done to all who supported the league. Full results will be available on the fishery website. This Saturday is the start of the charity competitions at the fishery with the first of the Cystic Fibrosis competitions. There is a bait competition on the Hollow Springs lake and a fly competition on the Main Lake. 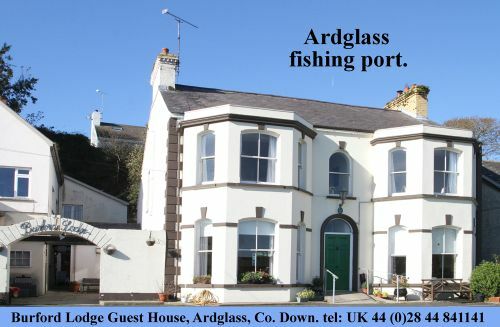 Islandderry Trout anglers will also be holding an open day at the fishery on 13 April on the Hollow Springs lake. There will be casting advice available, fly tying and more and will be suitable for everyone no matter there age or level of angling experience. These events are open to everyone, for more information contact the fishery on 07859074424, www.islandderryfisheryandtackle.co.uk or Islandderry fishery on Facebook.